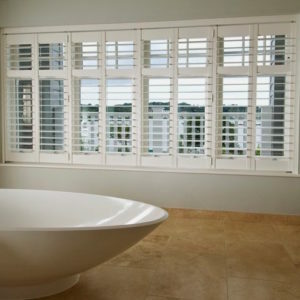 Just Shutters Rickmansworth is part of the Just Shutters Hertfordshire Division. This branch is run by husband and wife team Brooke and Tom Parrott. They are knowledgeable and strive for perfection as a result of a long running history in the shutter industry. Get in touch with the team on 01727 221 298 to discuss the endless possibilities of shutters in your home! Just Shutters is the UK’s largest independent shutter company. We stock an extensive range of products, including our own exclusive ranges that you wont find anywhere else! Our expertise in shutters, coupled with our exceptional level of customer service, has earned us an unrivalled reputation – something we are exceedingly proud of! So whether you want shutters in a sprawling manor house, cosy apartment or a corporate office, you can rest assured you’re in safe hands with the national experts! Shutters are a fantastic addition to your home. This is as a result of their exceptionally stunning looks and incredible practicality. A bespoke package can be constructed when ordering shutters, due to the vast array of finishes an materials available. Therefore, you can ensure that your home is truly unique! Browse our photo galleries for examples of stunning shutters we have fitted. Furthermore, due to the durability and longevity of our shutters we offer a lifetime guarantee!